The internet is everywhere. Those who control it, control us. As a gifted Ivy League student, Andrei Koss hit upon an idea that would revolutionise social networking and move it on by a generation. 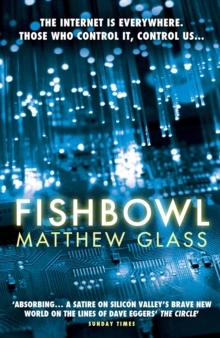 Enlisting the help of his best friends, Ben and Kevin, he turned their dorm room into an operations base, where flashes of creative brilliance and all-night-coding sessions led to the creation of Fishbowl. He is now the 21-year-old CEO of a multi-billion-dollar empire. His creation reaches into every corner of the planet. But its immense power has many uses, and some will stop at nothing to get a piece of it.